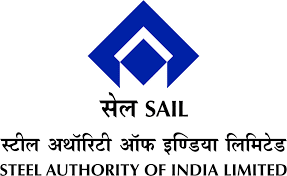 SAIL Recruitment 2018 2019 Application Form for 130 Proficiency Training of Nurses Posts Download Application through Official website www.sailcareers.com. SAIL Proficiency Training of Nurses Jobs Notification 2018 Released. SAIL invites Walk in Interview for appointment in following Proficiency Training of Nurses post in Steel Authority of India Limited. Candidates are requested to Download Application through Official website www.sailcareers.com. Prospective candidates will have to before Walk in Interview carefully reading the advertisement regarding the process of examinations and interview, eligibility criteria, Offline registration processes, payment of prescribed application fee/intimation charges, SAIL pattern of examination, SAIL Syllabus, SAIL Question Paper, SAIL Walk in Date, SAIL Result Date etc. 1. Candidate must be an Indian national possessing requisite qualification from an Institute recognized by State Govt. / Central Govt. a. Filled in application format (Annexure-B) with 4 additional recent passport size colour photographs. b. Pass certificate & mark sheets (all years) for educational and professional qualification. c. Experience certificate(s) showing relevant post qualification experience from the employer, if any. (b) pre-page under “Procedure”]. f. Internship Certificate (if applicable). g. Identity Proof (EPIC, PAN, Aadhar card). 3. All certificates & documents in support of eligibility will be verified only during walk-in-interview and any candidate, who fails to produce the same, will not be allowed to appear at the interview. Therefore, candidates are requested to ensure their eligibility before appearing for the walk-in-interview. 4. Candidates may send scanned copy of the duly filled in application form to dspintake@saildsp.co.in through email latest by 20/04/2018. The engagement is purely for the purpose of “Proficiency Training’ and will not entitle the trainee to stake a claim for appointment in Durgapur Steel Plant in any manner whatsoever. 5. Candidates will have to appear for the walk-in-interview at their own cost.